Create seamless theme integration by using a color from a photo. Documents look great when you match themes with photos - and we now make this easy to do by allowing a document’s theme colors to be based on the predominant colors in an image or logo. 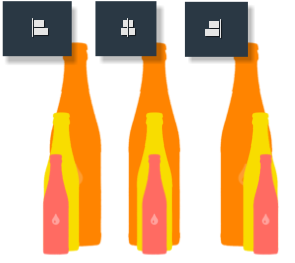 So here for example, we grab a template - change the photo, and then update the theme colors for a more pleasing result. You can now align text in Text areas to appear at the top, center or bottom of the panel. Position your cursor in a text area and the options appear in the Text properties panel. Notice how the Text panels are now also split out from the other text items to make them easier to find in the properties panel. Just marquee select (or shift + click) the objects you want to align or distribute, and then select from the Align options in the right side property panel. 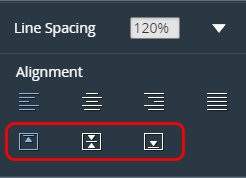 The Align options are within a new expanding Align & Distribute property panel section, and will only appear if you have more than one item selected. No selection - no section. Just tap on your selection to apply the alignment. Create a presentation in Xara cloud and export/download it as a PowerPoint (PPTx) presentation. See the new option on the Download menu. It's currently in Beta so give it a go and tell us what you think. Check out fresh new content for June here... Released June 25th - that's two content releases this month!